Code name: “The mountain of the gods II”. 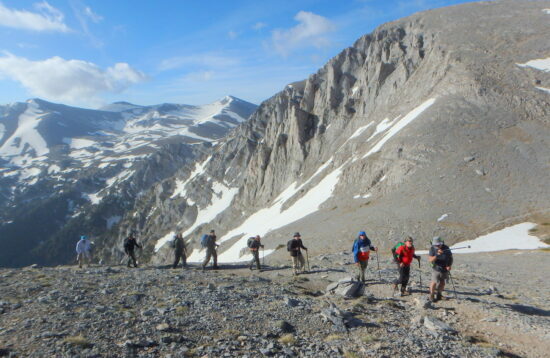 Trip profile: An 8 day / 7-night high quality walking holiday program on the higher Mt. Olympus. This high-altitude walking program offers the best possible opportunity to someone to stand on all the main summits of this historic mountain and experience the best of it in every respect, as it is a place which has so much to offer! An alpine for most of its length trek, covering almost the full range of the mountain i.e. the south, central & north higher Mt. 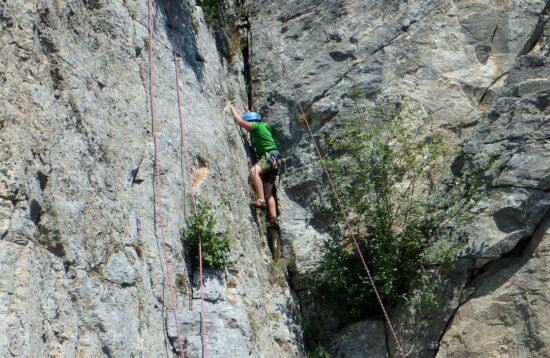 Olympus, aiming for all the major summits, graded as 70% moderate and 30% challenging. Definitely a “super must” for every mountain walker. Period: Second half of June, July, August, first half of September. Type: Individuals & Family (min age 16 years) / High mountain trekking. Minimum size of group 4 – 8 persons. Find the detailed Itinerary below. 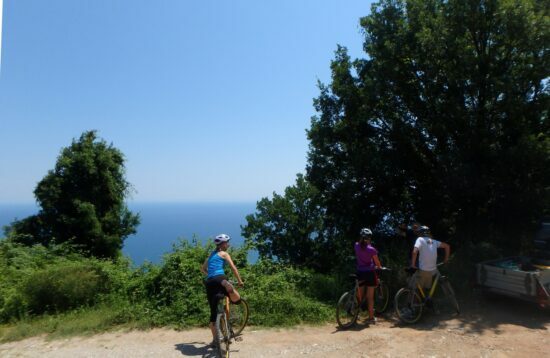 Transfer from your airport to your accommodation in the village of Litohoro at the eastern feet of Mount Olympus. After settling in, there will be a welcoming meal, meet with the guides and introduction to the program, followed by free time to prepare for the Trek. We start off our ascent to the mountain of the gods from almost zero. Our today’s walk will take us along the very impressive Enipeas gorge! We start just outside Litochoro, at 300m. It is an amazingly beautiful place to cross, drowned in greenery, with Enipeas stream running alongside with us. 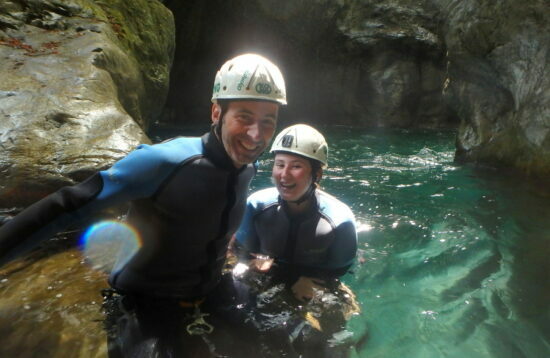 On the way, we stop by one of the numerous crystal clear pools, where we have our light snack hot drink and cookies. Our guides will introduce you to the very interesting and unique in many cases flora of Mt. Olympus! We are at the very heart of the lower part of the mountain. We end up at Prionia location at 1100m, where we have our lunch before we return by road to the nearby Stavros refuge for your accommodation. For more about the gorge and the area, here. Altitude covered, +800m. Approximate net walking time, 5.00’ – 5.30’ hours, easy / moderate. From Prionia we take the main path E4 to the refuge A’ or Spilios Agapitos. At about 1400m we leave this main path to cross the Enipeas narrow valley from the north to the south and climb up the north slopes of the southeast Mt. Olympus massif. We move in densely forested terrain in a the remote (non touristic) side of the mountain with great openings / meadows offering dramatic views down the Enipeas valley, the rocky highest summits’ group and the «Lemos» Ridge far to the north. When we get above the tree line we set camp at about 2250m. Altitude covered +1500m. Walking time 5.00’ hours, moderate. 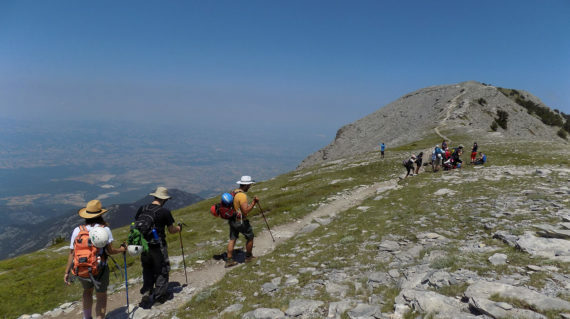 Kalogiros meadows – Metamorphosis summit – Agios Antonios summit – 2650m. From 2250m to 2700m & 2816m and down to 2650m. Today we walk along the southern summits group with an east to west general direction, all the way on alpine terrain, with two ups and downs of between 400m and 500m altitude difference. 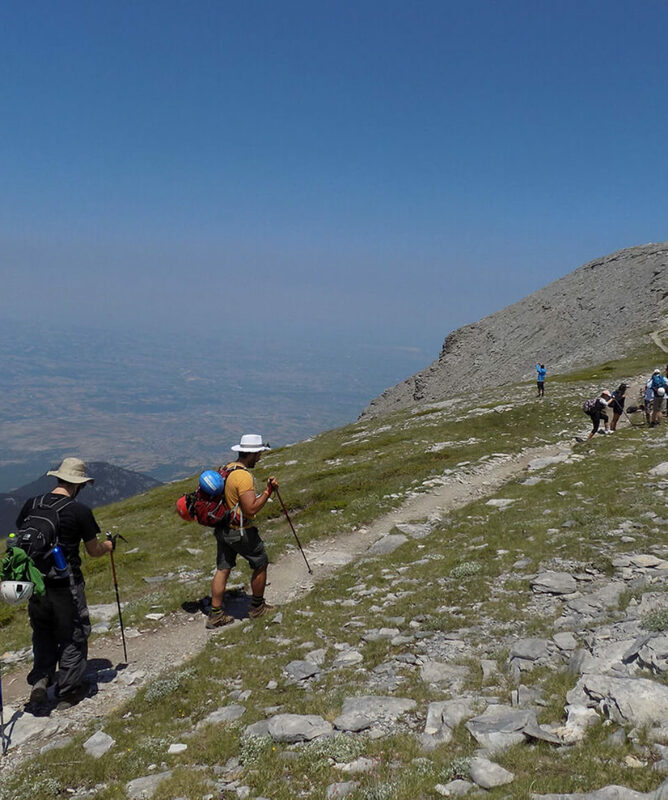 During today’s hike we climb the «Metamorfosis» (2700m) and «Agios Antonios» (2816m), the two highest summits of the southern group, before we set camp at 2650m, bellow the north east slopes of «Ag. Antonios». Walking time 4.30 to 5.30 hours easy / moderate. We leave camp after breakfast aiming for the second highest summit of Mt. Olympus, «Skolio». On our way to Skolio we make a northwestern diversion along the Christaki ridge to climb the «Christaki» summit (2707m). 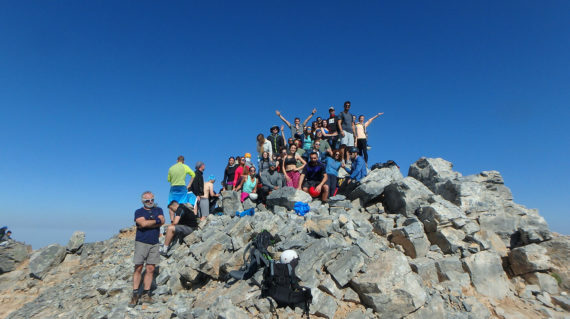 Then, back along the ridge and up the «Skolio» (2911m) summit to enjoy superb views of the impressive rocky spikes of «Mytikas» and «Stefani» or «Throne of Zeus» the highest and the third highest summits of the mountain. 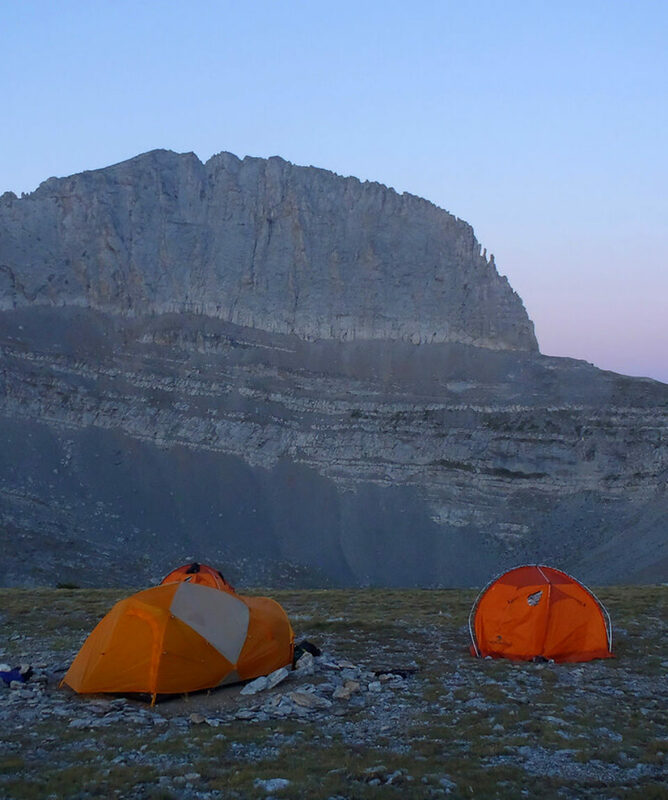 We leave Skolio, and along its east ridge to «Skala» summit (2880m) and then down to 2500m to hike along the magnificent «Zonaria» traverse aiming for the ”muses plateau” at 2650 – 2700m. During this traverse we pass under the main summits rocky group, where we get the opportunity to have a quite close look of the «Louki» (Gulley) route up Mytikas, our next day’s climb up the highest summit of Mt. Olympus! Another half hour relaxed hike takes us to the muses plateau. Settle in one of the two refuges at the plateau, relax, have a good meal and a shower. In the late afternoon we can walk up the «P. 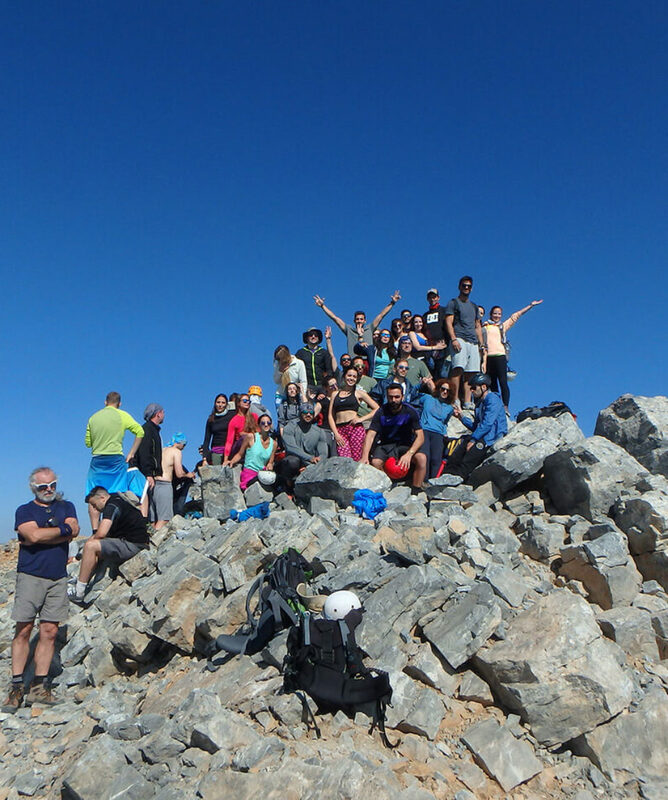 Elias» summit (2788m) – 30’ minute walk from the refuge – to enjoy one of our best sunsets of our life! Spent the night at the plateau. Altitude difference +250m and – 400m. Walking time 4.30 to 5.30 with the evening ascent to Apollo, moderate. Day 6 Muses’ plateau – Mytikas – Muses’ plateau. From 2700m to 2918m to 2700m. Today is the highest summit day! An early start and 30’ easy walk takes us to the base / starting point of the ascent to Mytikas (2918m), via the ”Louki” route. From here, the ascent is not a walk nor a technical climb, but a very interesting scramble about 250m to 300m long to the top. For this part of the climb we use safety equipment like ropes and harnesses as your guides will have you secured all the way up to the summit and back down to the path. While at the summit, the words are not enough to describe the feelings and the views! Someone has to experience it! We will return via the ”Kakoskala” route (southern route) and then a cleft path will take us back to ”Zonaria”, the plateau and the refuge, where you will have ample time to relax prior to dinner. Altitude covered 218m up and the same down. Approximate net walking / scrambling time 4.00’ to 4.30’ hours, mainly challenging walk / scramble. After an early breakfast we set off to climb the rocky summit ”Throne of Zeus” (2909m), the third highest. Being under its impressive shadow for the past two days on the plateau, it unavoidably becomes like a ”must” to everyone. A similarly challenging scramble like the one to Mytikas the previous day, leads us to its summit of the ”Throne of Zeus”. Atop the Throne we enjoy a wonderful view of the plateau itself and Mytikas. We descend via the same route and return to the plateau after an overall of 2.30’ hours of challenging walk / scramble. Altitude covered, 209m up and the same down. After a short rest at the plateau, heavy hearted, we start preparing to leave this amazing and hospitable place. We descend via the ”Lemos” ridge, which is a particularly beautiful and interesting hike with a variety of terrain and wonderful views of the Aegean Sea in the distance far below. After about 2.30’ to 3.00’ hours moderate walk we reach the ”Petrostrouga” refuge at 2000m. Here we have a good rest and a lunch meal. In the afternoon we leave the refuge and heading north, follow the path down the densely forested northern side of the mountain. The path unfolds in a pine tree forest mixed with deciduous tree patches. A 3.00’ to 3.30’ hour superb downhill moderate walk takes us to the Koromilia refuge at 1100m, where the today’s hiking comes to an end. We have all the rest we need here, enjoying the place and the worm hospitality of the landlords. Altitude covered, -1600m. Transfer by road to your accommodation in Litochoro, end of program. Pricing policy: our multi activity holiday programs / trips are meant mainly for you who “Plan your own holiday” or if you who want to “Do it yourself”. By being retailers and providers at the same time on these actual programs, we are able to deliver and provide a personalized service at an excellent price, without compromising on the quality of our activities. As local activity suppliers, our expert knowledge of the area ensures for you a more personal feel and direct communication with us and the area, thus, more control on your behalf, over your holiday. Our multi activity holiday programs / activity combinations are designed and put in place for every different proposal / program in such a way, that only our experience and knowledge concerning the local conditions could achieve towards your maximum enjoyment. It took long sessions of evaluating various elements and parameters like the group’s type – individuals/family/children’s age groups – the activities’ level and the time period in relation to the weather conditions, before reaching the desired outcome. We believe that we have succeeded there achieving the harmony we were seeking. Our clients’ comments which have helped us a lot towards it, are in favor of this. We are grateful to them! Just take the advantage of this work, at prices that you will find nowhere else for such full, well designed, high-quality multi-activity holiday programs! So, the above Prices apply mainly to the independent traveler, who will have their own means of transport, thus, come independently from their accommodation to the meeting point for every activity and back, with our and our website’s directions at all times. During the booking procedure and contact with us you will also be given all the information / directions needed to get from the airport to your accommodation. The “Google Maps – our activities Destinations” in our website will help you a lot towards it. We take care of the appropriate accommodation for you, being close and handy to the activities area. As it is explained below (“Things you should know” at “Transport”), if you do not have your own means of transport, the transfers from the arrival stations to your accommodation and back, as well as the transfers from the accommodation to the activity’s location and back, will be done by us at an extra cost. Note that if you are less than 4 persons without other participants in your actual available dates, we can do the full program exclusively for you if you wish, at an additional 25% if you are 3 persons and 45% if you are 2 persons on the activities price. This means an 18.5% for 3 persons and 33.5% for 2 persons on the above total (activities + accommodation) prices. 7 days full board (breakfast, lunch & supper) while on the mountain from day 2 to day 7. 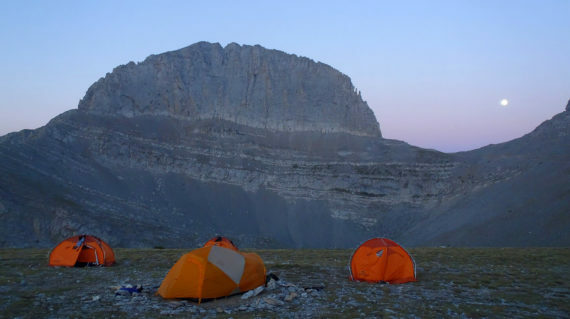 7-night accommodation – 2 nights camp, 3 nights mountain refuge & 2 nights hotel. Local road transfers when needed. Mule support on days 3, 4 & 5 for carrying camping / kitchen gear & food / water supplies. Guiding throughout the hiking program. Specialized safety equipment and guiding for the highest summit ascent. Hot drinks (coffee, tea) and cookies. during the trek. Drinking water while on the mountain. Whats not included in this tour. Transfer from the airport to Litohoro and back. A day back pack (30 to 50 lt.). A pair of good walking boots. Wind proof / water repellent breathable jacket. Extra tee shirts, under wear and three pairs of good socks for walking. While on Mt. Olympus, it is advisable to have a sheet or a very light sleeping bag for using it as a sheet, as the refuges provide only blankets. Two – three seasons sleeping bag for the camp. Water flask or simply a plastic water bottle. Sun and head worming hat. Rock Climbing. Tzamia & Seloma sites, Mt. Kissavos (Ossa).